Due to its critical and sensitive nature, spinal cord injuries are a serious condition that can cause permanent changes in strength, sensation and other bodily functions below the site of the injury. Understanding the back, spinal cord and spinal cord injuries is essential for living a healthy life. Central cord syndrome is an injury that occurs in the center of the spinal court that causes nerve damage that impedes or destroys the ability of the brain to communicate with some part of the body, usually the victim's hands or arms. Our trial lawyers have handle central cord syndrome accident and product liability claims on behalf of victims in Maryland. Below we dig into the spinal cord injuries, central cord syndrome, and related spinal cord problems. The spinal cord is one of the body's most sensitive and complex organs. The spinal cord is a long, thin, tubular bundle of nervous tissue and support cells that extends from the medulla oblongata in the brainstem to the lumbar region of the vertebral column. The vertebral canal, which is formed by seven cervical, 12 thoracic, five lumbar, and five sacral vertebrae protects the spinal cord. The spinal cord operates as a highway of nerve signals that control the execution of movement and relays sensory information from the skin, muscles, and internal organs to the brain. The spinal cord is also a center for coordinating many reflexes allowing for reactive movement without the aid of the brain. The spinal cord and the brain make up the central nervous system. The spinal cord begins at the base of the skull where it passes through a large oval opening and enters the spinal canal at the top of the neck. The spinal cord has protection from the bony vertebral column and extends down to the lumbar region of the back. What Happens When the Spinal Cord is Injured? What Would Happen if You Broke Your Spinal Cord? Spinal cord injuries generally occurs when the bony vertebral column protecting the cord suffers damage via a fracture, dislocation, compression, bruising, hyperextension or hyperflexion. A cord injury can result will in loss of feeling in certain parts of their body depending on the location of the injury. The further up the spinal cord the damage occurs the more loss of feeling the victim will suffer. In mild cases, a victim might suffer a loss of function of an extremity such as a hand or foot. In more severe cases, injuries may result in paraplegia, also known as quadriplegia or full body paralysis below the site of the injury. In most spinal cord injury cases, the loss of sensation and motion is permanent. The most common cause of spinal cord injury is trauma, including motor vehicle accidents, falls, shallow diving, acts of violence, and sports injuries. An SCI can also occur as the result of diseases acquired at birth or later in life, from tumors, electric shock, and anoxic or hypoxic conditions. What is Central Cord Syndrome? Central cord syndrome (CCS), is one of the most common forms of incomplete spinal cord injuries and can cause loss of motor function or sensory perception in the arms and hands and, in some occurrences, the legs. Central Cord Syndrome is an SCI that results in damage to the neck, leading to significant injury to the grey matter of the spinal cord that affects the large nerve fibers carrying information from the cerebral cortex to the spinal cord. The syndrome is more common in people more than 50 years old because of the development of osteoarthritis in the neck region that causes weakening of the vertebrae. Autopsy studies have also shown that CCS may also be caused by bleeding into the central part of the cord. What is Anterior Spinal Cord Syndrome? The spinal cord is part of the central nervous system, and it gets its energy and oxygenated blood through the anterior spinal artery. This artery supplies the anterior portion of the spinal cord and arises from branches of the vertebral arteries that travel along the anterior facet of the spinal cord. Anterior spinal cord syndrome occurs when the anterior spinal artery is damaged, suffers a blockage or rupture, causing a restriction in blood supply to tissues. Anterior spinal cord syndrome is a condition known as ischemia or infarction, and it occurs in the anterior two-thirds of the spinal cord. The loss of motor function or the ability to sense pain or temperature below the level of injury are characteristics of an anterior spinal cord injury. Anterior cord syndrome generally has a high mortality rate or poor functional outcome and has the poorest prognosis among most spinal cord injuries. What is Infarction of the Spinal Cord? The anterior spinal artery is a single long channel that sits at the mouth of the anterior central channel of the spinal canal and supplies the circulation of blood to the anterior two-thirds of the spinal cord. Infarction is tissue death or necrosis that occurs when there is inadequate blood supply to the affected area. Artery blockages, rupture, mechanical compression or vasoconstriction - condition that arises when narrowing of the blood vessels narrow due to contraction of the muscular wall -can all cause an infarction. Causes of anterior spinal artery injury include atherosclerosis, a disease in which the inside of an artery narrows due to the buildup of plaque, aortic aneurysm, thrombosis, dissection or surgical intervention. A herniated disc, tumor, bone spur, abnormal curvature of the spine or trauma can also cause infarction of the spinal cord. How is Central Cord Syndrome Diagnosed? After someone suffers SCI a doctor will complete a neurological examination, assign a level of injury, and determine if the injury is complete or incomplete. Doctors may utilize x-rays to determine if there is damage to the bony structure of the vertebrae and magnetic resonance imaging (MRI) to assess the degree of spinal cord compression and vertebral instability. Evaluation of MRI images helps doctors to predict the likelihood of neurological recovery. One of the terms doctors use to describe spinal cord injuries is complete or incomplete. An incomplete injury means that the spinal cord may maintain some of its ability to convey messages to or from the brain. In some cases, an SCI victim may keep some sensation and movement below the level of injury. A complete injury leads to a total lack of sensory and motor function below the area of injury. What are the Symptoms of Central Cord Syndrome? Symptoms of CCS can include paralysis or loss of fine control of movements in the arms and hands and to a lesser extent impairment of leg movements. Sensory loss below the site of the injury can also lead to loss of bladder control and sexual function. A CCS patient may also suffer painful sensations such as tingling, burning, or a dull ache. What is the Treatment for Central Cord Syndrome? There is no cure for central cord syndrome although a reduction in a sufferer's neurological symptoms often occur with conservative management. In some cases, people recover near-normal function. Treatment generally utilizes stabilization of the injury site, rest, drug therapy, and surgery. Surgery is utilized to stabilize vertebrae caused by traumatic injury or cervical disc herniation. 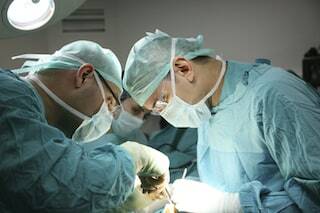 Surgery may also benefit individuals with persistent compression of the spinal cord and ongoing neurological deterioration. After the injury and initial diagnosis, the first steps of treatment may include hospitalization at an intensive care unit where doctors immobilize the cervical spine with a neck collar or other traction device. In most cases, cervical spine restriction lasts for approximately six weeks or until the individual experiences a reduction in pain and neurological symptoms. As a patient begins to recover doctors generally prescribe physical and occupational therapy to assist with recovery. These therapies may help CCS patients regain their independence, self-care, and mobility. What is the Prognosis for Central Cord Syndrome? CCS injuries is generally have a favorable prognosis for sufferers with at least some degree of neurological and functional recovery. Factors that affect the recovery process include age, preexisting conditions, and extent of the injury. The prognosis for central cord syndrome varies, but most people whose syndrome is caused by trauma have some recovery of neurological function. Many CCS sufferers who receive immediate medical intervention following the injury have positive outcomes. Many people with CCS recover some or most of their function, and the ability to walk is improved. Improvement occurs first in the legs and bladder, and then it may happen in the arms and hands. Recovery is generally better in younger patients, compared to those over the age of 50. Can a Spinal Cord Heal Itself? The spinal cord, due to its delicate nature, is sensitive to injury. Unlike the skin, bones, or internal organs the spinal cord cannot repair itself if it is damaged. Often, spinal cord injuries caused by the intrusion of foreign objects, such as vertebrae bone, or by a herniated disk or hematoma that create a force on the spinal cord can be corrected through surgery. How do You Strengthen Your Spine? Whether a person suffers a herniated disc, spinal stenosis, or strained muscles, a back injury can be challenging to diagnose and treat. Whether a person is currently experiencing a back injury or has recurring back problems, there are a few simple exercises and precautions a back-pain sufferer can take to strengthen the back to help support the spinal cord. First, it is essential to let the spine rest during sleep. The structure of the spine needs rest and to make the most of this time while relaxing the spine needs to be supported by the mattress and pillows in and comfortable way. Second, many exercises can strengthen abdominal and back muscles. A person's core muscles need to be healthy and supple to support the spine and take pressure off the lower back, and in turn strengthen the structures that protect the spine. Another key to back and spine support are good shoes. Whether it's walking for exercise or physical work, shoes play an important role in supporting the lower back. Good shoes are essential to providing a supportive base to keep the spine and in proper alignment. Message can be a therapeutic tool that not only helps with stress relief it can also encourage blood flow, and help increase the body's natural painkillers - endorphins - and help speed healing process of an injured back. To have a healthy back, it is essential to limit total sitting time and practice good ergonomics while sitting. Because the discs in lower spine experience three times more load while sitting than while standing, so long periods of sitting can create or aggravate a painful back condition, so it is important to practice good sitting posture while sitting. What is the settlement value of your central cord syndrome case? Anyone who tells you they know can predict the value of your claim without reading the medical records, assessing the liability claim, the venue, and a host other factors is kidding themselves. Our purpose in presenting these settlements and verdicts is not to tell you the settlement value of your claim. But sample verdicts and settlements do better help you winnow down the potential range of your case with a greater level of certainty. That is all a lawyer can do for you without digging into the individual facts of your case. Prince v. Alluciano (New Jersey 2016) $600,000: 45-year old plaintiff was rear-ended by defendant at an intersection. Despite the comparatively light impact of the collision, plaintiff's back was weakened by a pre-existing spinal condition and plaintiff suffered central cord syndrome injury that required corrective surgery. Plaintiff alleged that the injury left him effectively disabled and not able to continue working as a shipping manager. Anthony v. City of Philadelphia (Pennsylvania 2018) $3.1 million: Plaintiff was participating in a charity bike ride when he hit a sinkhole and he was thrown off the bike onto his head. He suffered significant injuries including central cord syndrome with partial paralysis, cervical ligament tears causing stenosis, fractured teeth and cuts. Plaintiff sued both the city and the company that sponsored the ride. A jury in Philadelphia found that the city was 90% at fault and the sponsor was 10% at fault and awarded $3 million in damages. Rikenbaugh v. R-1 Plumbing Inc (Missouri 2001) $1 million: Plaintiff was a 45-year old carpenter. He was stopped at a red light when defendant rear-ended him in a delivery van. Plaintiff alleged that the accident causes spinal cord injuries resulting in central cord syndrome and a cervical herniated disc leaving him with limited range of motion in his arms and hands. The case settled before trial. Tom v. Chung Enterprises (California 2005) $415,000: Plaintiff slipped and fell on a tarp left by the stairs at a building owned by the defendant. As a result of the fall plaintiff allegedly ruptured 2 discs in his upper back and suffered central cord syndrome. Plaintiff sued for failing to maintain premises in safe condition and failing to warn of unsafe tarp by stairs. The case settled prior to trial. Checchio v. Phillips (Florida 2009) $902,000: 30-year old plaintiff was stopped on his motorcycle at an intersection when the defendant rear ended the car right behind the plaintiff causing a multi vehicle pile-up. Plaintiff was diagnosed with central cord syndrome caused by the collision. Despite numerous surgeries plaintiff suffered loss of function in his left hand and arms and residual pain in his neck and legs. The defense claimed that his condition was the result of a pre-existing condition and not the accident. The jury in Duval County awarded $902,000. Our lawyers fight to get our clients, who have suffered a severe spinal cord injury, full compensation - either by settlement or a lawsuit. Our Maryland-based attorneys handle severe spinal cord injury claims throughout the Baltimore-Washington D.C. area (and often beyond). Call us to discuss your case at 800-553-8082 or get a free online consultation. What is the settlement value of spinal cord injuries?